I can’t believe this cookie didn’t happen to me sooner in life. It is the ultimate trifecta of deliciousness. I am now kicking myself for not thinking about throwing these three dietary staples together before now, adding some butter, egg, and flour, and indulging in the flavor-filled blast that is my new favorite cookie. One of the coolest things about baking, I have discovered, is that as an aspiring baker you quickly come to realize the power that is vested in you to combine all of your favorite things whenever and however you like and create masterful and tasty concoctions to satisfy your every whim. Fancy a pie with peaches and cherries in it? Done. Got a hankering for a chocolate cream tart this week? No problemo. 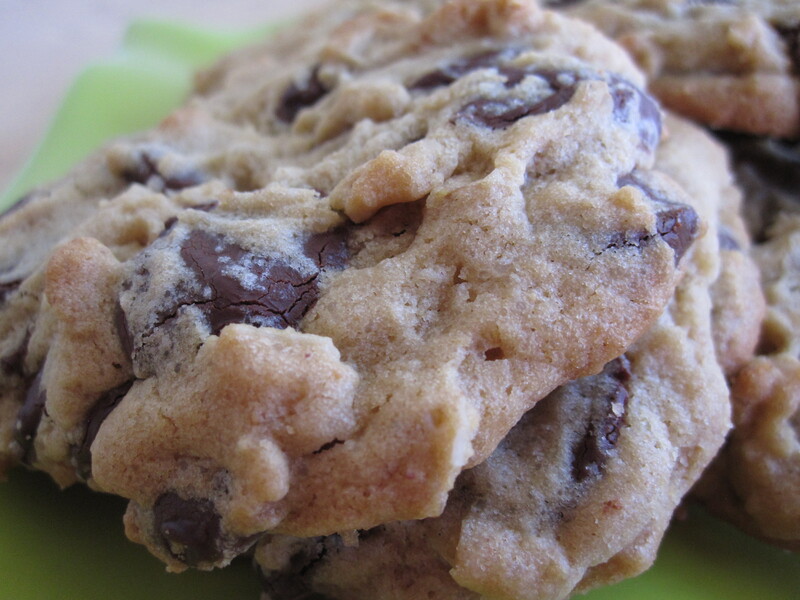 Feel like a cookie that features three of your favorite foods?? Well what are you waiting for girl, go home and bake a batch! So yesterday, that’s exactly what I did. It was very empowering. 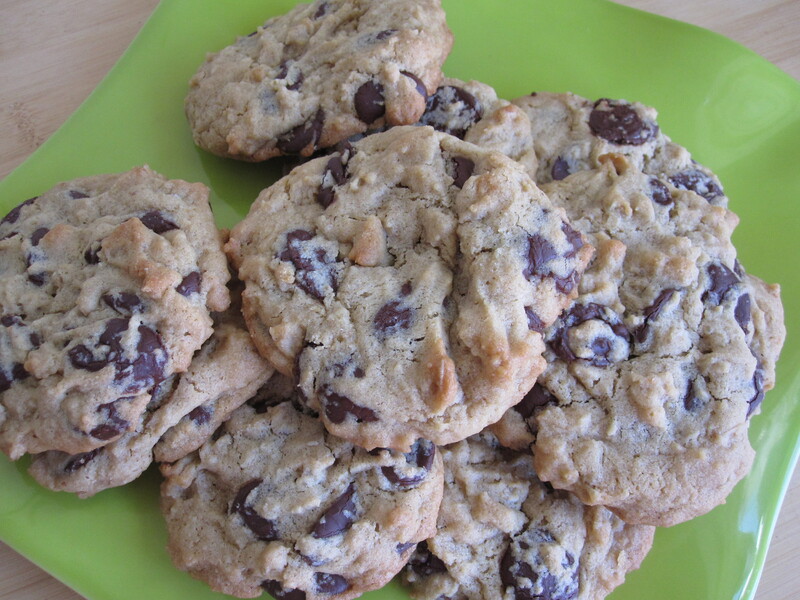 The great thing about these cookies is that after you’ve eaten a handful of them (in addition to having scraped the sides of the batter bowl and then licking the spatula clean), you will quickly remind yourself of the healthful nature of these little buggers. After all, there is oatmeal, fiber-rich and said to reduce heart disease; peanut butter, which packs a protein punch; and chocolate, full of antioxidants and soul-warming properties. So really, at the end of the day, you might say you’d be doing yourself a big favor, speaking from a strictly medical perspective, to whip up a batch ASAP. It’s just the facts. Sadly, these cookies are all gone now (I had a little help eating them, but admittedly not much), though the feeling of accomplishment, health, and a very satisfied belly, remain. Whisk together the flour, baking soda and salt; set aside. In a mixer on medium speed, cream together the butter, peanut butter, granulated sugar, brown sugar and vanilla extract, about 3 minutes. Add the egg and beat to combine. On low speed, gradually add the flour until just combined. Using a wooden spoon, stir in the oats, and then the chocolate chips. 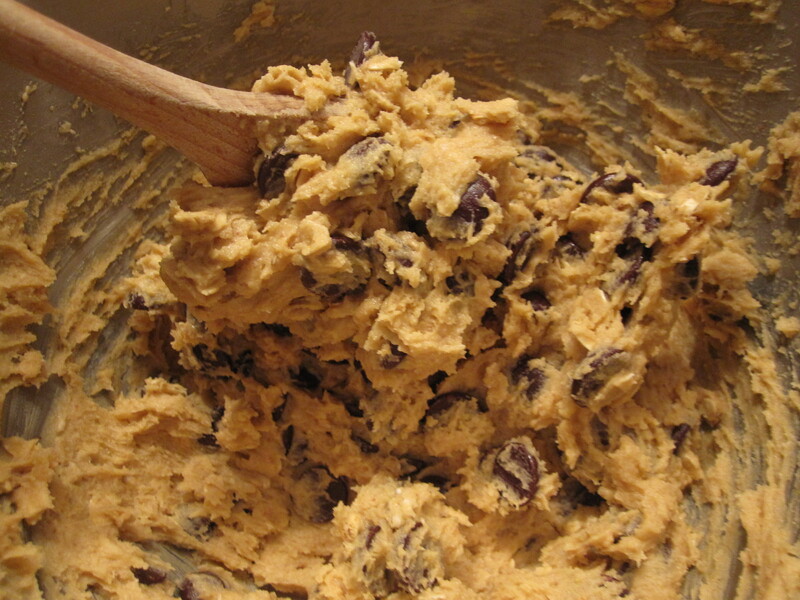 Drop about 3 tablespoons of dough per cookie onto prepared baking sheets about 2 inches apart. 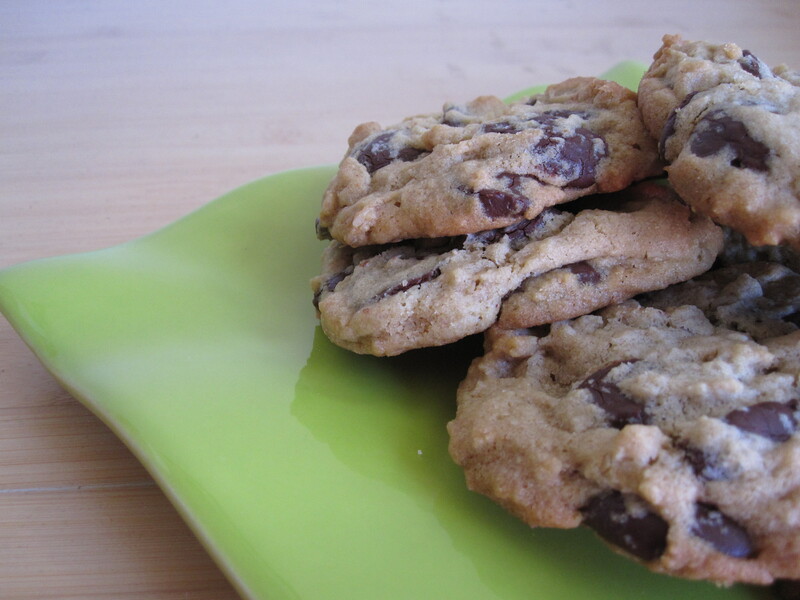 Bake for 10-12 minutes, or until the cookies are lightly golden. Cool completely on the baking sheet and then store in an airtight container at room temperature. This entry was posted in Not pie and tagged chocolate, cookies, oatmeal, peanut butter. Bookmark the permalink.